Get your Forest Plan comments in now! Deadline is Oct 3! With all of the wild public lands in the North Fork, there is not one acre of designated Wilderness….yet. 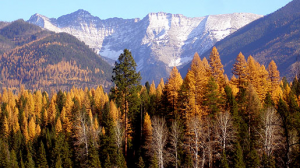 This needs to change and YOU can play a significant role in this by writing a comment on the Flathead Forest Plan TODAY! A personal letter from you makes the biggest impact. If you have hiked any of these peaks, please mention this in your letter. 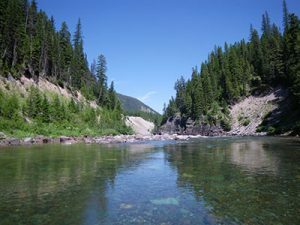 If you don’t have time to write a personal letter and want the easy way, just go to www.wildmontana.org/flathead and add your name and contact information to the letter that was written by the Montana Wilderness Association. Recommended Wilderness in the northern Whitefish Range following the map submitted by the Whitefish Range Partnership. Manage recommended Wilderness just like designated Wilderness, prohibiting motorized use and mountain biking. Protect the Greater Jewel Basin, especially the western slope of the Swan Range, in recommended Wilderness. Expansion of the Mission Mountains Wilderness to include the lower-elevations, species rich-lands adjacent to it. Also, please support Alternative 3 in the Environmental Impact Statement to keep core grizzly bear habitat managed at the level that it has been in the past…… whether or not the grizzly is delisted. We have a receptive Forest administration and a good chance of getting recommended wilderness additions if there are lots of comments from citizens. Your comment is very important! You can make a real difference! Thanks for taking the time to do this! The deadline is October 3, so please submit your comments today! !